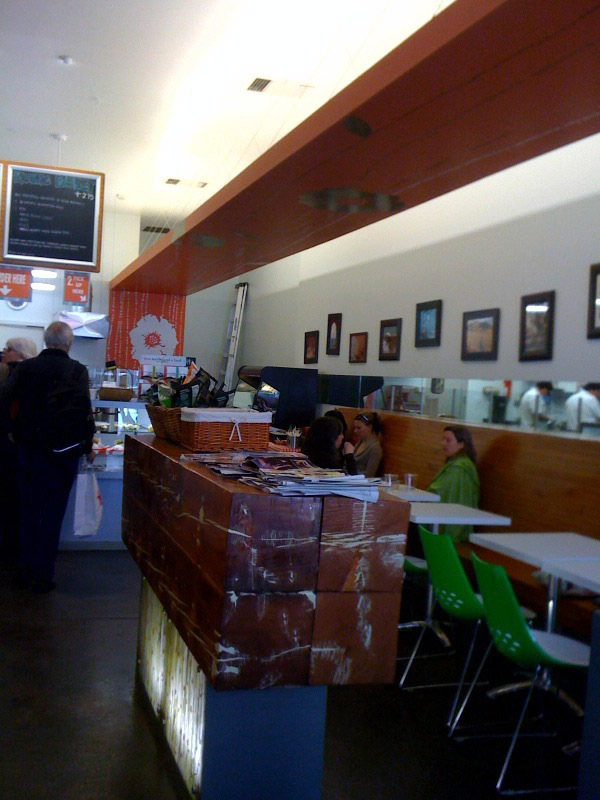 If you are looking for some good, fast, healthy food to eat in San Francisco then Urban Picnic is the place to go. They offer healthy, organic, local, sustainable food and they have it ready fast! Celia went there a few months ago and was very impressed. She told me she got her healthy lunch in under 5 minutes for under $15. She insisted I try it. 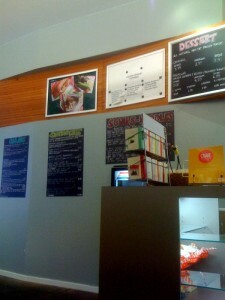 So a few weeks ago when we had a meeting nearby we went to Urban Picnic. It was great! They are located near the Sutter/Stockton Garage. 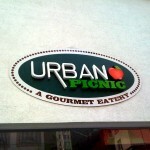 Urban Picnic is a hip and modern place. You can order your food to go or stay awhile and use their free wi-fi. I just read on their Website that they are also very green. Pretty cool stuff! Where financially possible, green design and practice were in mind. Furniture – communal bar table designed using reclaimed Douglas Fir wood – reuses existing resources. Lighting – CFL and LED lighting – CFL lighting alone uses 75% less energy than incandescent lighting. Equipment – where possible, energy star rated equipment, reduces green house gas emissions. We also had the Kale & Quinoa salad. Yummy and Fresh! yummy food you got to try it!!!! !